‘Eat,Sleep& Pray’ has been traditionally considered the motto of most of our lives. In current times it can be more apt if we claim ‘Food,Sleep & Wifi’ is all one needs. Sleep being the constant , ‘Mattress n More’ founder Sibraj realized the facts and sought to take his entrepreneurial leap while adding quality to one’s sleep. “Mattress n More” services offers the most advanced home sanitizing services in Bhubaneswar for both residential and commercial sector. The only player in this segment “Mattress n More” ensures allergens/ pests like dust-mites, bed bugs, silver fish, bacteria can be purged from the mattress, sofa, carpet, blanket, pillow, chairs, curtains etc while avoiding harmful chemicals or fumes. Dust Extraction,UV Sterilization, Anti Dust Mite Spray, Hepa Filtration & Mattress Injection Extraction are some of its highlighted services which are instrumental in maintaining clean and healthy home and work atmosphere. Such sanitizing adds to the durability of the materials as well. 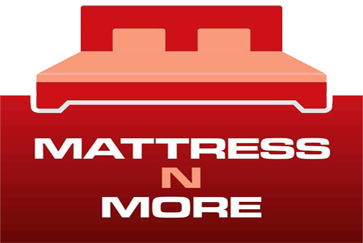 “Mattress n More” is a 360° mattress solution provider addressing all aspects of it;either a new mattress is needed or old mattress has to be cleaned in a professional way, Mattress n More is all you need to head towards. It has bagged reputed clients in its kitty like hotel The Crown, Upasana, Keshari, retail outlet such as Nimantran Jewellers, Vision Care, corporate offices of Kurl-On and Encore Consulting and many more. While Sibraj started his entrepreneurial journey in 2009 selling mattress, he brought the unique factor into it by adding sanitizing as well as cleaning services in 2015. Having attained the ‘most successfully run sanitizing company in Bhubaneswar’ title, the exclusive professional service provider is full of praises for his customers who have expressed their faith in its service and are key contributor to its winning streak, and that’s what, all that matters!